What are the Pennsylvania DUI Laws? If I am guilty, why do I need an attorney? If this is my first offense, what are my options? If this is not my first DUI offense, or I have a previous conviction(s), what are my options? What about Alternatives to Jail? What about an Occupational Limited (“Bread and Butter”) License? I am a juvenile and I have been charged with a DUI offense, what do I do? Will these charges be on my record forever? If you drive a motor vehicle on a “highway” or “trafficway” in Pennsylvania while under the influence of alcohol or drugs, you may be charged with a drunk driving offense. Pennsylvania has a punishment system that is three-tiered and is dependent upon your blood-alcohol level. The penalty for a DUI conviction increases with each tier and for each DUI. The least severe penalty is applicable to persons who have a blood alcohol content of .08 to .099 percent. Penalties increase for those persons who drive with a blood alcohol content from .10 to .159 percent, and the harshest punishment applies to those persons with a blood alcohol content of .16 percent or greater. Blood alcohol levels for individuals under the age of 21 are different. Penalties also increase based upon prior DUIs within the past 10 years. If you refuse or decline to take a blood alcohol test, you are deemed to be in the highest blood-alcohol content tier and you may be subject to additional license suspension for your refusal. If you have any amount of drugs in your system, you will be punished as if you were in the highest alcohol level. This applies, regardless of the drug or amount involved, even if the drug was ingested days or weeks prior to the arrest. Innocence plays only a small part in your defense. Even if you are guilty of driving drunk, you still need a defense team to present your situation and the facts of your case to the District Attorney and the Judge in the best light possible to attempt to reduce the penalty you are facing. Furthermore, there may be technical legal issues with your stop, arrest, and/or blood test that may make it difficult for the District Attorney to prove your guilt. The criminal justice system is full of pitfalls that can trap an unrepresented person. We can help you avoid those and at a REASONABLE RATE. Lastly, you may want an attorney to explain the entire process. Accelerated Rehabilitation Disposition (ARD) Program. People charged with a first-offense DUI may be eligible for the Accelerated Rehabilitation Disposition (ARD) Program. 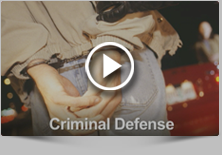 ARD is a program designed for first-time, non-violent offenders. Admission into the Accelerated Rehabilitative Disposition (ARD) Program results in no jail time and a greatly reduced license suspension. Each County’s District Attorney’s Office has its own eligibility requirements and conditions for admission into an ARD Program. It is important to understand that cases that may qualify for ARD in one county might not for another. There are certain terms of Accelerated Rehabilitative Disposition (ARD) that are mandatory, non-negotiable and apply to all counties. They include, six to 24 months of non-reporting probation, attendance and successfully completion of Alcohol Highway Safety School, Court Reporting Network (CRN) drug and alcohol evaluation, and community service. Once a person has successfully completed the Accelerated Rehabilitative Disposition (ARD) Program, the underlying criminal charges are legally dismissed. The person may then file a petition with the court to have all records of the arrest expunged from his or her criminal background history report. Another option is a trial. Anyone charged with drunk driving offense has an absolute right to a trial. However not all DUI offenses entitle a person to a trial by jury. If you are charged with a DUI, you should contact an experienced defense team for further explanation. If this is not my first DUI offense or I have a previous conviction(s), what are my options? Accelerated Rehabilitation Disposition (ARD) Program. The general rule in most counties is that a prior conviction for any crime, including DUI, or a prior admission into the ARD Program, for a DUI or any other offense, will make you ineligible for admission into the ARD Program. However counties are permitted to establish their own rules for ARD admissibility and some counties do permit ARD for second offenses. You should consult with an experienced DUI attorney to determine if you are eligible for admission into the ARD Program. Intermediate Punishment Program (IPP). People charged with a second or more offense of Driving Under the Influence / DUI may be eligible for an Intermediate Punishment Program (IPP). While not every county has such a program, if it is available it is another sentencing alternative available to Judges. Typically, an IP program includes either no prison term or a greatly reduced prison term, electronic monitoring, intensive supervision, treatment and, in most cases, community service. Prior to being accepted onto an IP program, you may need to complete an application, be interviewed by the adult probation department, complete a drug and alcohol evaluation, submit to twice a week urinalysis, agree to any special conditions (inpatient treatment, electronic monitoring), and pay all fees as ordered. Some counties offer other alternatives including Work Release and House Arrest. * House arrest (with or without electronic monitoring) allows a person who is sentenced to a jail term to spend the time at his or her home as an alternative to being physically confined to jail. In the case of electronic monitoring, the confinement is monitored using an electronic sensor strapped to an individual’s ankle and linked by telephone lines to a computer which emits a continuous signal. The individual is normally permitted to attend work, school, church and treatment. If this signal is interrupted by the offender going beyond the authorized radius of the receiver, the host computer records the date and time of the signal’s disappearance. The computer will also record the date and time the signal resumes. If a signal interruption occurs during a period when the individual should be at home, the violation is checked by the parole officer or other monitoring agency and the individual could be subject to arrest. * Work Release is a minimum security incarceration program that provides an individual the opportunity to maintain employment and assist in the continued support to his/her family during the incarceration period. It also provides a means of paying fines and costs during this same period. Individuals must be recommended by his/her sentencing Judge, preferably at time of sentence. The job that the individual will work must be approved by the prison. The work hours and location of any job must be approved by the prison. The wages must be approved by the prison. Transportation to and from the approved employment must be approved by the prison. All wages earned must be in payroll check form and directly turned over to the prison for approved disbursements. Acceptance to the program requires approval by the prison and final approval by the sentencing Judge. You will travel to and from work by the quickest route with no stops. You will not, while outside the institution, visit family and friends. You will not partake in the use of any type of drugs unless prescribed or approved by Physician. You will not drink any intoxicating beverages (including beer and alcohol based cold remedies). You agree to maintain gainful employment. You agree to submit to a urine test when directed by the Facility Administrators. Failure to return directly to the institution can result in being charged with escape. If you are not eligible for ARD, some counties offer other alternatives including Work Release and House Arrest. House Arrest (with or without electronic monitoring) allows a person who is sentenced to a jail term to spend the time at his or her home as an alternative to being physically confined to jail. In the case of electronic monitoring, the confinement is monitored using an electronic sensor strapped to an individual’s ankle and linked by telephone lines to a computer which emits a continuous signal. The individual is normally permitted to attend work, school, church and treatment. If this signal is interrupted by the offender going beyond the authorized radius of the receiver, the host computer records the date and time of the signal’s disappearance. The computer will also record the date and time the signal resumes. If a signal interruption occurs during a period when the individual should be at home, the violation is checked by the parole officer or other monitoring agency and the individual could be subject to arrest. Work Release is a minimum security incarceration program that provides an individual the opportunity to maintain employment and assist in the continued support to his/her family during the incarceration period. It also provides a means of paying fines and costs during this same period. If you are convicted of DUI or admitted into the Accelerated Rehabilitative Disposition (ARD) Program, you may and probably will incur a license suspension. The license suspension is separate from the DUI charges and is an administrative action taken by PennDOT. If you are found to be driving with a suspended license due to a DUI offense (including an ARD license suspension), you may be subject to a $1,500.00 fine and possibly 60 days in jail. If you have alcohol in your system that is in excess of the statutory limit, you are subject to a mandatory 90-day prison sentence, be ordered to pay a $1,000.00 fine and suffer an additional license suspension. It is very important to work closely with your attorney to make sure that everyone, including PennDOT, is on the same page regarding when the license suspension begins so that you may have your driving privileges restored as soon as possible. What about an Occupational Limited (“Bread-And-Butter”) License? You may entitled to a PA Occupational Limited (“bread-and-butter”) License which would enable you to drive for work, medical treatment or schooling during the term of the suspension. Such licenses are available to all first-offenders after the person serves a 60-day full license suspension. To receive an Occupational Limited License, you must apply with PennDOT. The blood-alcohol limit for individuals under the age of 21 is .02 percent. Juvenile offenders may be eligible for admission into the Accelerated Rehabilitative Disposition (ARD) program. They may also be eligible for dispositions that are more beneficial than ARD. If you are admitted into and successfully complete the Accelerated Rehabilitative Disposition (ARD) Program or you beat the charges, you may petition the court to have your criminal record expunged of the entire incident. Criminal records should be expunged, if possible, so that employee background checks do not uncover records of the arrest and disposition. It is important to retain an attorney who will be diligent in making sure these Pennsylvania and federal agencies follow through with their court-ordered directives and destroy these records. However, if you are charged subsequently with another DUI, the charge of DUI for which you complete the ARD program will nevertheless count as a first offense for 10 years. 1) Why were you stopped? In order to stop you and question you about anything a police officer must have “probable cause” or “reasonable suspicion” of criminal wrongdoing. The test for whether the police had “probable cause” or “reasonable suspicion” is determined by the “totality of the circumstances” of each case to see whether the police officer has a particularized and objective basis for suspecting legal wrongdoing. The court’s approach is that officers should be allowed to draw on their own experience and specialized training to make inferences from and deductions about the information available to them that could elude an untrained person. Courts are consistently clear, however, that police may not act on a mere “hunch” or “suspicion” to justify stopping you for suspected DUI or any other suspected crime. When the police violate the rule against unlawful searches and seizures, evidence obtained as a result of this unlawful police activity may be excluded from any prosecution of the accused. Accordingly, if the police illegally obtain evidence from a warrantless search of a house or automobile, or obtain a blood-alcohol-content result from a person after an unsubstantiated DUI stop, such evidence might not be admissible against the accused at trial. 2) Can the District Attorney prove that you were operating the motor vehicle? To prove a DUI case, the district attorney is required to prove that you were physically in control of a motor vehicle on a roadway. If the District Attorney cannot prove that you were actually driving (such as in the case of an accident where no one witnessed who was driving) or that you were driving on a roadway (such as when a person is stopped in certain private property), you have a defense to DUI. 3) What was your BAC? The potential penalties that you may face for your DUI charges are dictated by your blood alcohol testing results and your prior record. 4) What testing was done? When you are stopped on suspicion of drunk driving, the police may administer a number of “tests” to determine if you have committed a crime. The tests may be what are known as “Field Sobriety Tests” and/or “Blood Alcohol Tests”. Field Sobriety Tests: There are three Standardized Field Sobriety Tests. They are the Horizontal Gaze Nystagmus Test, the Walk-and-Turn Test, and the One-Leg Stand Test. The manner and conditions in which the arresting officer administered these tests and whether he or she administered them properly are issues that must be reviewed by an experienced and thorough DUI defense attorney. Blood Alcohol Testing: Pennsylvania law provides that the police may not perform a chemical test of a driver’s blood alcohol content unless there is “reasonable grounds” to believe that the driver was operating a vehicle under the influence of drugs or alcohol. The field sobriety tests are used as a means to establish “reasonable grounds” to submit motorists to testing. The two most common blood alcohol tests are blood testing and breath testing. Pennsylvania law requires hospitals and the physicians, nurses and technicians employed by hospitals to withdraw blood samples on DUI suspects unless there are emergency situations at the hospital at the time the request is made. Pennsylvania law also requires that blood (and urine) tests be performed at licensed and approved clinical laboratories using approved testing methods and equipment. It is important to carefully examine blood test results to determine if the variance or margin of error may include the possibility that the true blood-alcohol content was in a lower tier or below 0.08 percent altogether. If a person’s blood-alcohol content is tested to be, say, 0.10 percent, no toxicologist (or prosecutor) can say with any certainty that the person’s actual blood alcohol concentration was above or below this level. Virtually every toxicologist will concede that there is a variance of 3 to 10 percent within which the actual blood alcohol content would likely fall. Police frequently test blood-alcohol content by subjecting the motorist to a “breathalyzer” machine. These machines are different from — and much more sophisticated than — the “portable breath test” units police use to test blood-alcohol content at the scene of the stop. To be admissible at trial, breath tests must be conducted in conformity with regulations set forth by PennDOT. These regulations require the machine to be regularly calibrated, the person operating the test to be certified, a 20-minute observation period prior to the testing, and two breath samples taken within a prescribed period of time. The two breath test results must be within 0.02 percent of each other. A failure of the police to comply with any of these regulations can result in the results being suppressed (ruled inadmissible) at trial. As with blood testing, breath test results have a margin of error that should be considered in determining a person’s actual blood-alcohol content. 5) When was the testing done? The Pennsylvania DUI statute mandates that evidence of a person’s blood alcohol was not obtained within two (2) hours after the individual has driven, operated, or been in actual physical control of the movements of a vehicle. While there are a few exceptions to this rule, it is extremely important that you engage a professional DUI team who can identify and take advantage of any timing issues in your case. 6) Were you properly advised of your rights? A police officer is supposed to read you your rights including the 5th Amendment Miranda warnings whenever you have been taken into custody and are being questioned. If they do not, they may not be able to use any of your answers against you in any court of law. This can be very important in some cases where the key evidence against you may be your statements given to the police. In DUI cases, however, the police rarely need a person’s “confession” or any statements he made to prove the case. This is why, in DUI cases, many defendants are never read their rights. Criminal law is a diverse and complicated area, and as a result, we understand that you might have questions regarding criminal proceedings. The lawyers at Fiore & Barber, LLC have compiled a list of frequently asked questions about criminal law cases. We drew upon our significant knowledge of the field and 29 combined years of legal experience to provide these answers. I was just arrested. How can I get out of jail? The police want to speak with me. What should I do? Should I grant the police permission to search my home or property? Can I refuse to take a Breathalyzer or sobriety test? If you have further questions about criminal law, the attorneys of Fiore & Barber, LLC would love to answer them. Feel free to call us at any time at 215-256-0205 or contact us online with your questions, and we will answer them as quickly and thoroughly as possible. One of our top priorities is open and constant communication with you to keep you educated about your case and the proceedings of criminal law. If bail is low enough, you can get out of jail by posting bail in cash or writing a check. You get this money back at the end of the case, so long as you or your attorney is present at all of the appearances that the court mandates for you. If you cannot afford to pay bail in its full amount, bail bondsmen exist to post bail for you. Think of bail bonds as an insurance policy. If you fail to make your court appearances, the bonding company will search for you and arrest you. Do not, under any circumstances, speak with police before consulting with a lawyer. Under the Miranda rights, you have the right to remain completely silent. Anything that you say to a police officer can (and most likely will) be used against you in court. Therefore, to avoid incriminating yourself in any way, stay silent until you speak to us. Absolutely not. One of the best tactics defense lawyers have to clear clients charged with criminal acts is to prove that law enforcement illegally searched your home or illegally seized your property. In many cases, law enforcement acts on invalid warrants. If you allow police permission to search your home, you waive your Fourth Amendment right, which guards against unreasonable searches and seizures. Also, never assume that police have a warrant to search your home, even if they tell you that they do. Always ask to see a warrant before being bullied into giving permission. You can. However, be aware that a refusal to take a Breathalyzer or sobriety test can lead to immediate suspension of your driver’s license. Furthermore, the prosecution in your DUI or DWI case will almost assuredly use that refusal as evidence against you. It is generally in your best interest to simply take the test. Either go to the district clerk’s office in your county or send someone on your behalf to get a copy of the complaint against you. If the bail for your case is already set, you can choose to post bond without even being placed under arrest. If this is not an option because of the expense of the bond, then you should try to borrow money or apply for a loan as quickly as possible. Once placed under arrest, you must work with a court-appointed attorney until you can pay the bond.